Mr. James Darrell Cleveland Whittaker, 85, of Southaven, MS, passed away Wednesday, April 11, 2018 at his residence in Southaven. 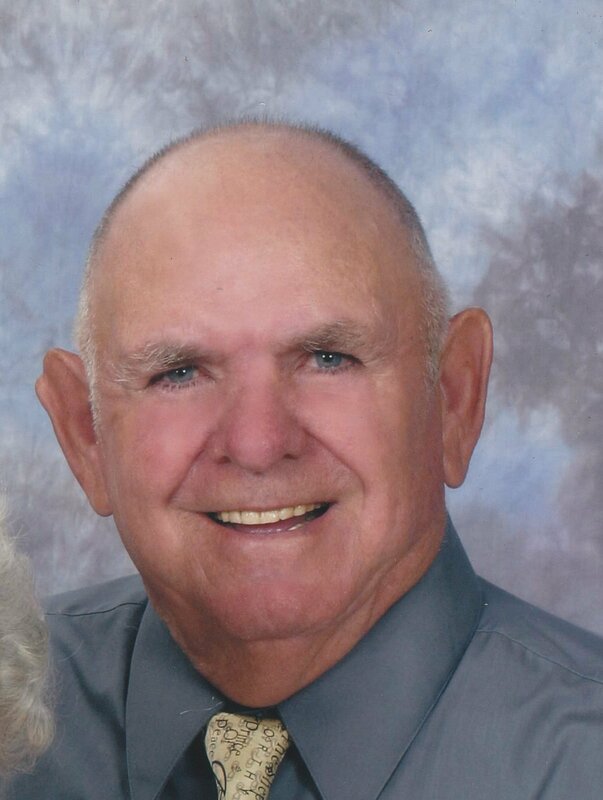 Mr. Whittaker lived in Southaven for 54 years and was self-employed for approximately forty years and had owned several businesses in Southaven, including Southaven Tire and Automotive. He proudly served in the United States Navy as a seaman during the Korean Conflict. He also worked as a guard for the Defense Depot during his early thirties. Mr. Whittaker loved cheering for Ole Miss and being outdoors. Whether he was fishing, hunting, or simply enjoying God’s masterpiece, he was content. He enjoyed traveling, especially spur of the moment trips with his wife, and playing ball with his Golden Retriever, Mike. Mr. Whittaker loved to garden and cut grass, and every morning you could find him at Chick-fil-a enjoying a cup of coffee with his best friend, Dr. David Clark of Greenbrook Baptist Church. Above all else, he loved Jesus Christ and his family. Mr. Whittaker loved sharing his faith in Jesus Christ with everyone he encountered. He was a deacon for over twenty years, serving at First Baptist Church in Southaven, then at Carriage Hills Baptist Church. He loved serving people and ministering to them, especially the doctors, nurses and patients at the V.A. hospital. Anytime Mr. Whittaker encountered a child, he was always sure to give them a Christian-based coloring book to help spread the word of God. Mr. Whittaker’s legacy will continue to live on through the many memories he made with his friends and family. Mr. Whittaker leaves behind his loving wife of sixty-five years, Louise H. Whittaker of Southaven, MS; three daughters, Kathleen Whittaker Curley (Eddie) of Hernando, MS, Terry Whittaker Engledow (Larry) of Cullman, AL, and Patricia Whittaker Toomey (Van) of Southaven; one brother, Lloyd “Bud” Whittaker of Arkabutla; one sister, Elizabeth Zirlott of Mobile, AL; seven grandsons, Jason Holliman of Memphis, TN, Edward Nicholas Curley (Catrina) of Southaven, Kirk Wise (Courtney) of Arlington, TN, Nick Engledow (Meagan) of Buford, GA, Chris Engledow (Devin) of Corners, GA, Sean Toomey and Nathan Toomey both of Southaven; three granddaughters, Mackenzie Everett (Scott) of Dothan, AL, Jessica Spencer (David) of Marion, AR, and Mary Ashton Hall (Corey) of Murray, KY; six great-grandsons, Lance Curley of Southaven, Cole Everett of Dothan, AL, Drew Wise of Arlington, TN, Ryan McCann of Marion, AR, Connor McCann of Powder Springs, GA, and Jimmy Wright of Marion, AR; eight great-granddaughters, Nevaeh Curley of Southaven, Larrison Everett of Dothan, AL, Gracie Engledow, Lilli Engledow, Amelia Engledow, and Maggie Engledow all of Buford, GA, Cameron Spencer and Lexi Spencer both of Marion, AR. He was preceded in death by his parents, James Lloyd Whittaker and Leona Pearl Denton Whittaker; and one sister, Marilyn Bosarge. In lieu of flowers, the family asks that donations and memorials in honor of Mr. James Darrell Cleveland Whittaker, be made to St. Jude Children’s Research Hospital (501 St Jude Place; Memphis, TN 38105). Visitation will be held Monday, April 16, 2018, from 12:00 P.M.-1:00 P.M. at Carriage Hills Baptist Church (8352 Farmington Dr. W; Southaven, MS 38671), with the funeral service following at 1:00 P.M. in the chapel at Carriage Hills Baptist Church. Interment will be at Forest Hill Cemetery South (2545 E Holmes Rd; Memphis, TN 38118) beginning at 2:45 P.M.. I am so sorry for your loss and I will be praying for the family.